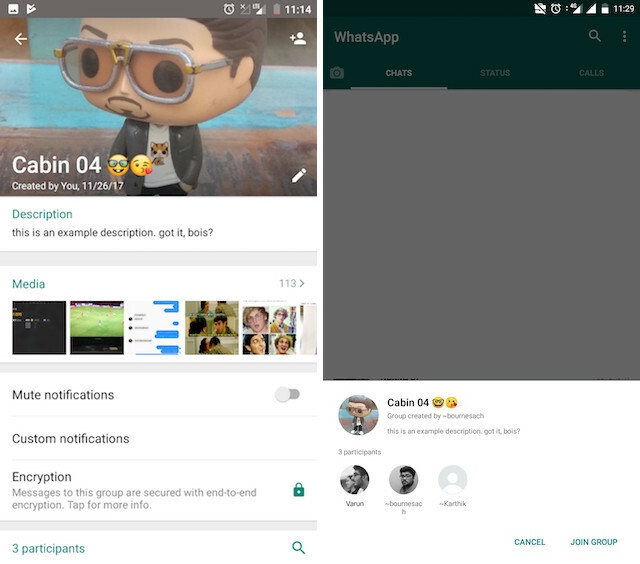 When it comes to new feature updates, it seems like WhatsApp has been on a trot lately. After releasing WhatsApp Payment for India and testing a new feature where the company allows users to download their data, the company is launching yet another feature and it has to do with WhatsApp groups. The company had accepted in the past that its WhatsApp group features are fairly limited in capabilities and it’s working on improving it. 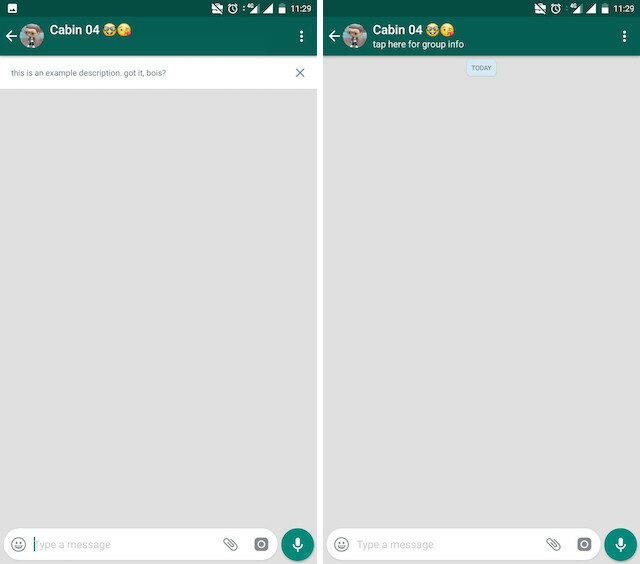 Since then, WhatsApp has introduced a number of new group specific features, and the feature which WhatsApp released today is a great addition to that. The feature called “Group Description” was first discovered by folks at WaBetaInfo, and allows users to add a short bio or description just as they do for their personal profile. The description can be seen by all the members of the group and is a good way to broadcast any message without having the fear that it will be lost in the sea of messages inside the group chat. However, one thing to be cautious about here is that the message can also be seen by anyone with whom the group link has been shared. So, if your group’s link is shared with a lot of third parties it would be wise to not put any information there, which you don’t want people outside the group to see. Also, when a new member joins the group, he or she will see a Group Description banner at the top, which will be deleted as soon as the user leaves the chat. Lastly, the Group Description can be edited by any member of the group, that said, an Admin can disallow members from changing it. The feature is available for all the Android Beta and Windows Phone Beta users of WhatsApp.